IceWarp Mobility untethers users from the office, ensuring seamless synchronization with their desktop or WebClient information automatically & over-the-air through most mobile devices. Mobile users have up-to-the-minute access to both personal & shared information (including GAL) through support of Exchange ActiveSync® & SyncML. IceWarp provides over-the-air synchronization of Email, Calendars, Contacts, Notes, Tasks and Files. Synchronization is achieved through SyncML & ActiveSync with IceWarp SmartSync which provides a more fuid mobile experience. Information is delivered to most mobile devices in real-time via push technology, requiring no action from end users. Mobility is enabled through IceWarp's native support of AutoDiscover, which allows users to easily configure their mobile devices using only a user ID and password. 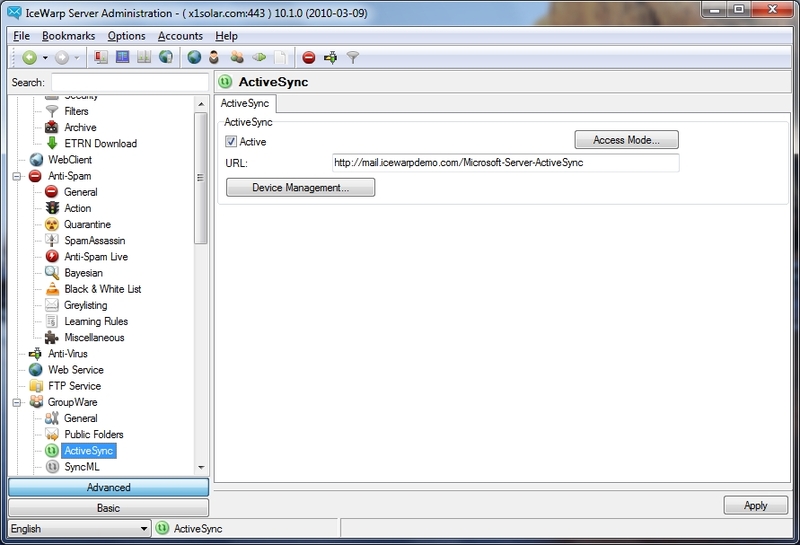 Once the initial login is achieved, AutoDiscover also automatically handles device configuration settings. 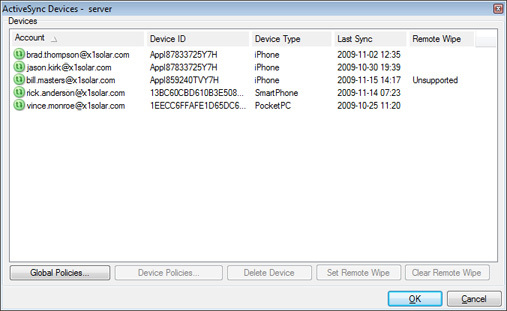 Mobile device management is accomplished through the IceWarp Server Administration Console. Here, administrators can access all the tools they need to provision the device, manage user access, and remotely delete information from lost or stolen devices. IceWarp has the only solution that will display your Tasks on devices that do not support them (iPhone, iPad) by introducing the new ActiveSync Policy: Sync tasks as events. This feature merges Tasks into your calendar folder as floating events with the possibility to view, add, edit, or delete the tasks. No app installation required. IceWarp mobility requires no software installation. It delivers out-of-the-box support for most mobile devices on the market including Windows Mobile, Nokia, Motorola, LG, Samsung, iOS (iPhone, iPad) and Android-powered devices since Android 2.0. BlackBerry devices require an easy-to-use synchronization app (purchased separately). IceWarp's imple­mentation of Exchange ActiveSync ® is officially licensed for the 2.5, 12.0, 12.1, 12.5 and 14.0 protocol specification. IceWarp adds its unique extensions: SmartSync (improves performance in edge-of-the-connection locations), SmartDiscover, GroupWare as Email (translation of Tasks, Notes, Files into emails), and many others (full folder tree, virtual folders, substitute default folders, localized folders), while retaining 100% compatibility with client device vendors.